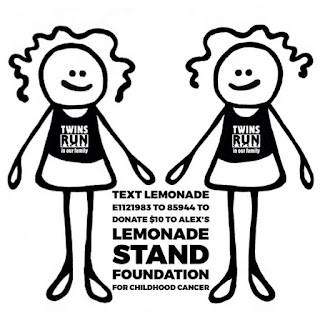 Since 2012, Leah and Malinda have raised $3,054 to support Alex's Lemonde Stand Foundation in memory of their grandmother, GG, and Leah's brother-in-law, Michael. Leah, the faster 1/2 of @TwinsRun, has qualified for the Boston Marathon (BQ) 4 times and finished 3 Boston Marathons (2013, 2014 and 2015). 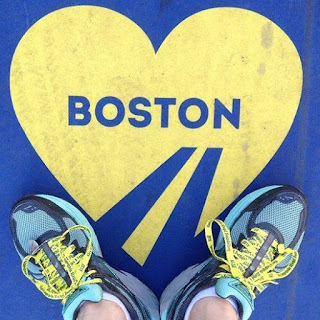 Leah's application to run the 2017 Boston Marathon was just accepted on Monday, September 19! 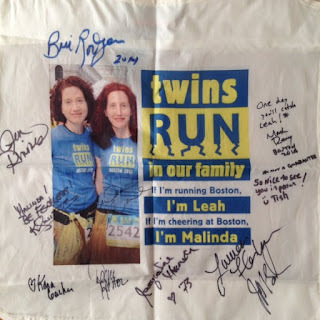 Malinda is training to succeed at her 12th attempt at the 2016 Philadelphia Marathon on Sunday, November 20. 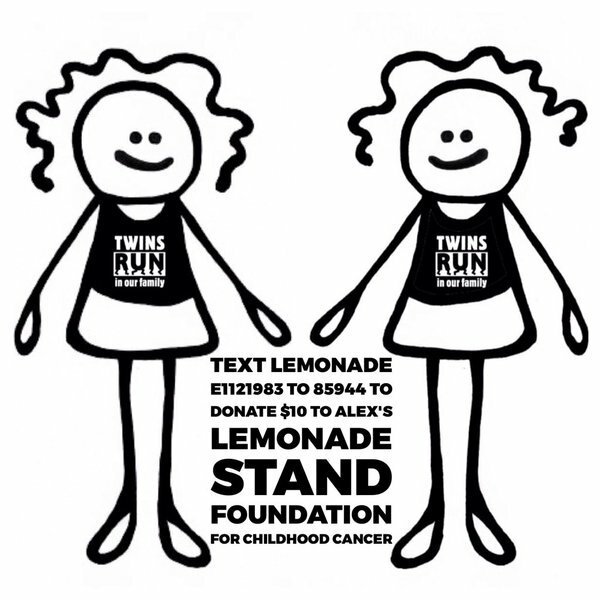 Although Malinda has yet to reach her 2017 BQ goal (3:55), you can help her reach her fundraising goal to support Alex's Lemonade Stand Foundation for Childhood Cancer!